We use a variety of tools to make our snow with the help of low temperatures and low humidity. Mt. 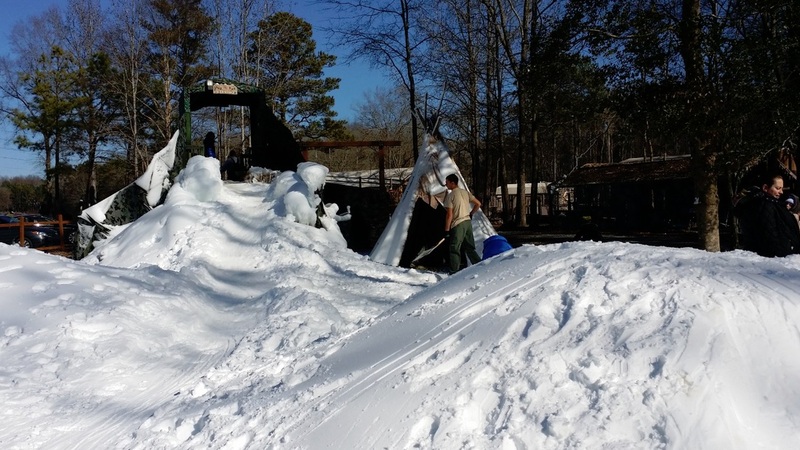 Bradley is then covered with anywhere from two to three feet of snow making the perfect hill for kids and toddlers. We provide the sleds but park goers are more than welcome to bring their own and it is best to call and check the conditions before coming. We keep the public updated on everything snow-related on our Facebook page. Click here to be redirected to check conditions. You can expect snow anywhere from mid-January to late February.